Ingredients: Candelilla wax, activated charcoal powder, olive oil, vitamin E, essential oils of tea tree, frankincense, and lavender. Vegan product. 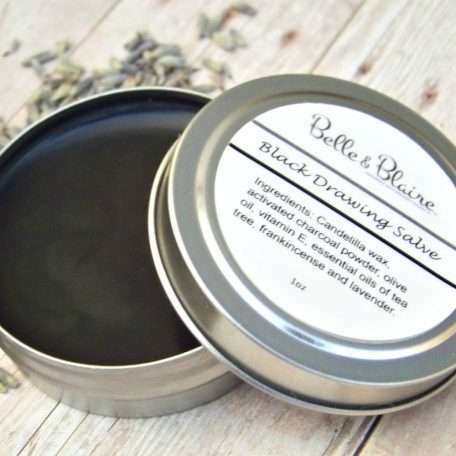 Use for drawing out skin infections, poison, and other impurities. 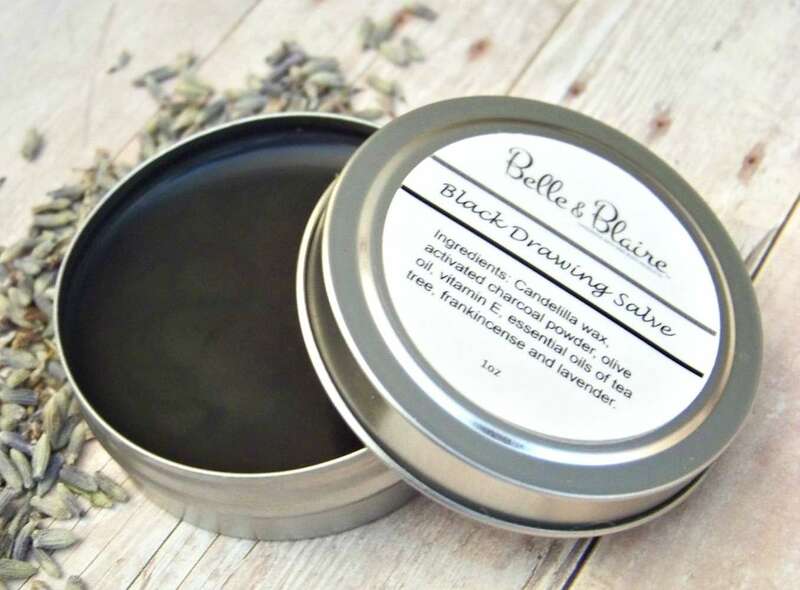 First clean the affected area then apply the salve by rubbing a small amount to the area daily as needed. Disclaimer: Do not use if you are pregnant as this product contains essential oils. None of the products/formulas have been tested by the FDA. This product will not diagnose, treat, prevent, or cure any illness or disease.If you are unsure of a product seek medical advice first.